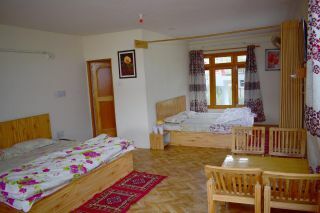 This is an offering of a private room in a homestay, which can accommodate four people. 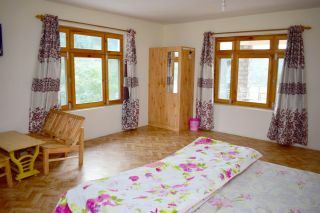 The property boasts a scenic ambience with a tranquil view, and the room on offer is ideal for a small group. Breakfast is provided on request. 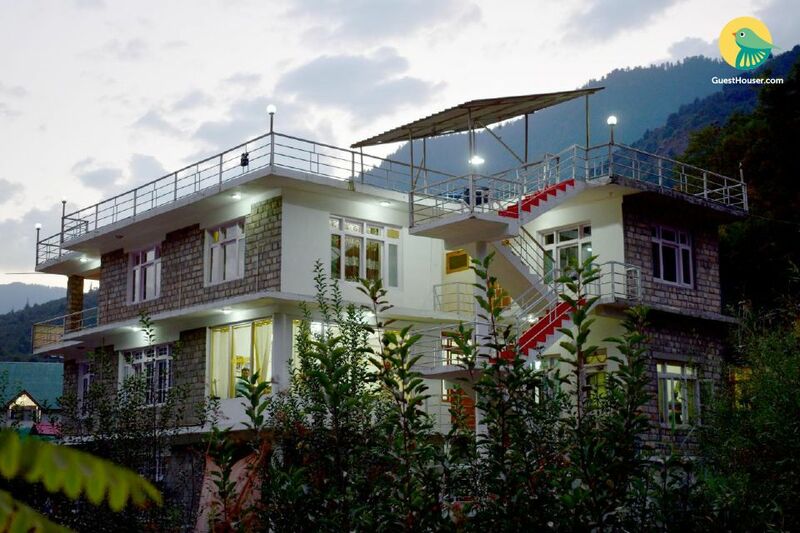 Your Space Nestled amidst verdant hills, this holiday home promises a tranquil getaway from the city din. The room on offer is furnished with a couple of comfy double beds, coffee seating for four, a mirrored wardrobe, and a flat-screen television for your entertainment. The en suite washroom is tiled and appointed with western sanitary ware. The property also features a sit-out that makes for the perfect space to sit back with a steaming cuppa while admiring the scenic view. Camp Fire is Optional and chargeable. Extra Mattress (On Request). The primary guest checking in to the hotel must be at least 18 years of age. 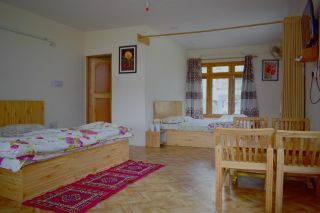 Children accompanying adults must be between 1-12 years. A valid Photo ID has to be carried by every person above the age of 18 staying at the property. The identification proofs accepted are Drivers License, Voters Card, Passport, Ration Card. Travel assitance can also be provided. Early check-in or late check-out is strictly subjected to availability and may be chargeable. Laundry services can be provided on request (chargeable). Shampoo/conditioner is provided on request (chargeable). Extra Bed (On Request). (Chargeable) Vegetarian food is available Guests are requested to provide valid ID proof at the time of check-in. Joginder Railway Station is 158 km. Kullu-Manali Airport is 41 km. 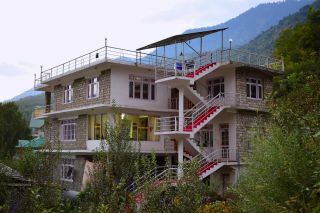 Manali Bus Stand is 7.9 km.